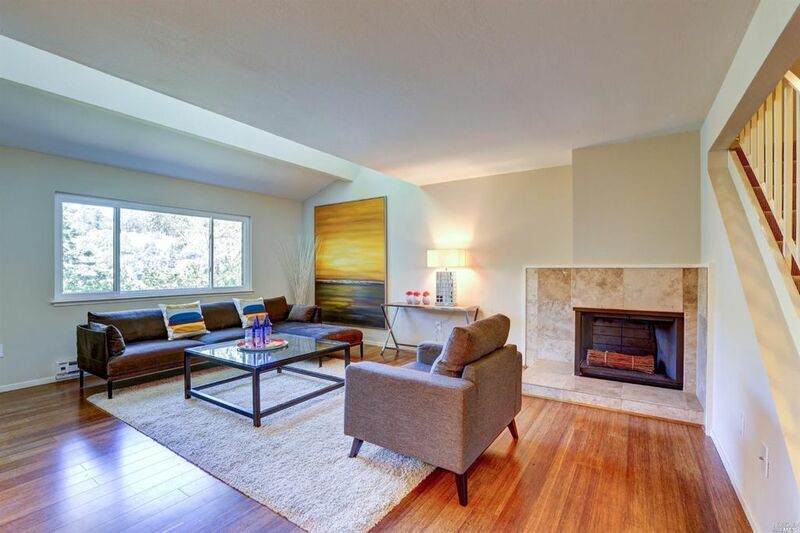 Beautifully remodeled 4 bedroom 2 bath condo, immaculately maintained. Open and airy living room with unique bamboo flooring & fireplace opening to a private deck. Light and bright updated kitchen with granite countertops and casual dining area. Sunny patio off fourth bedroom / family room. Laundry in unit. 1 car assigned covered parking. Community pool and rec room. Ideal location close to downtown San Rafael, Highway 101 and Dominican University.